Dr. Ilija Nasov is an award-winning scientist. His credits and achievements include, winning the World Bank organised Marketplace for Innovative Projects, 2006. Nasov has also won the Gran Prix in International Innovative Exhibitions, as well as receiving a number of other gold medals and first places during his career. He has collaborated with more than 30 of the biggest institutes in the EU and is a venerated figure in the renewable energy sector. Graduating from the Faculty of Technology and Metallurgy, Ss. 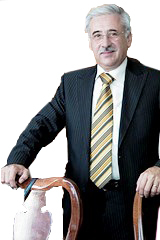 Cyril and Methodius University of Skopje, in thermodynamic processing, Nasov went on to become a master of science in mechanical engineering and received a PhD in 1998. His doctorate focused on the different methods of welding materials, especially in cable wires and solar thermal collectors. Nasov has enjoyed many prestigious positions in the industry and is an international authority when it comes to developing new technologies. He has lectured at some of the world’s top universities, enjoying work as the dean of faculty for ecological resources at MIT University and lecturing as the professor for solar energy application, at the National University K & M, Institute of Physics. Nasov has been the director of research and development at the Centre for Plasma Technologies, the president of the Solar Association of Macedonia and the president of the Nano Association of Macedonia. He is also a member of the EU ESTIF. Nasov works on many national projects in solar energy application and has been a crucial part of four research and development FP7 projects, three regarding architecture. Nasov has written many articles and presentations in International Congresses. He has held symposiums on solar energy and surface engineering and authored books on solar energy application in architecture, along other themes regarding harnessing solar energy. He has held positions such as director of production and the director of the research and development sector at Negotino. At Cable Trade, Nasov worked as the director of marketing and at Plasma Ltd, he was the director and proprietor of the research and development centre. 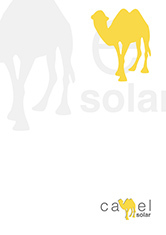 As the chairman of Camel Solar, Nasov has developed patents and created business strategies that positions Camel Solar as a global authority on the subject of solar energy application.